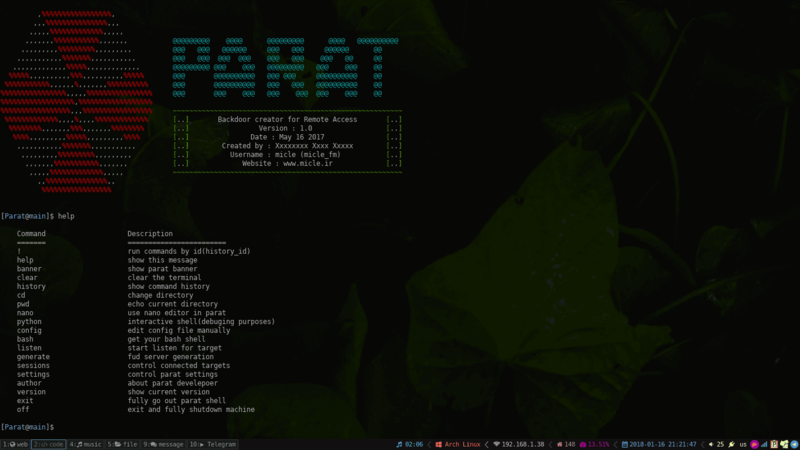 Parat is a simple remote administration tool (RAT) written in python. Also you can read wiki! Note: it may need to install python -m easy_install pypiwin32 on some targets.